You are here: Home / Blog / Snow Day! Snow Day! Snow Day! As a kid, I totally remember waking up, and my parents telling me I could go back to sleep because we had a snow day. There was no way I’d go back to sleep because I’d be too excited. A snow day! No school! All day to play in the snow! Well, this morning, I got to bring the excitement to my three kiddos. Only Mr. B really got it. The twins thought we were playing some kind of joke on them. But, when they finally realized we weren’t kidding, the smiles and fist pumps were in full effect. Seriously, our schools hardly ever close. We are in Wisconsin after all, and fairly prepared for this kind of weather. It’s actually not even that bad out, but I think they are anticipating more snow later, so maybe that’s why they called it? Whatever the reason, I have three very happy campers. Well, everyone has had breakfast, the twins have been playing with cars, and Mr. B is having a Phineas and Ferb marathon. I’ve had 2 cups of coffee. We’re all still in pajamas. Perfect. I’m not going to delude myself, however. I know the novalty of the snow day will wear off soon, and it will be back to fighting, whining, and general nonsense. So, that is when I will make them put on their snow gear and head outside. I see an afternoon movie, and perhaps a nap in our future. OK. I’m praying for a nap, but won’t get my hopes up. I’m also going to use this day to have the kids write out their Valentines for school. Their teacher suggested they write out all the names as practice, and I think that’s a great idea. Although, I’m not sure if the twins can write them small enough, but we’ll give it a try. I try to do a gratitude post most Fridays no matter what has been going on. It helps keep things in perspective, and push the good ahead of the bad. Making connections with fellow Preemie/NICU moms when I published this post and reshared this post about being a NICU Mom. 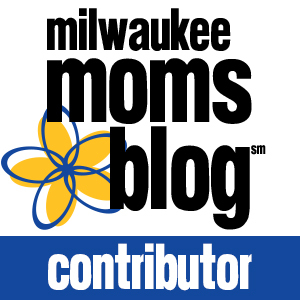 Helping other moms is one of the main focuses of this blog, and when I find out it’s working, I’m extremely grateful. Filling another bag full of clothes for ThredUp (referral link…you get $10 to shop and you can also order your own Clean Out Kit) It’s fun to make a little money, and it’s even more satisfing to get rid of some clutter in my closet. 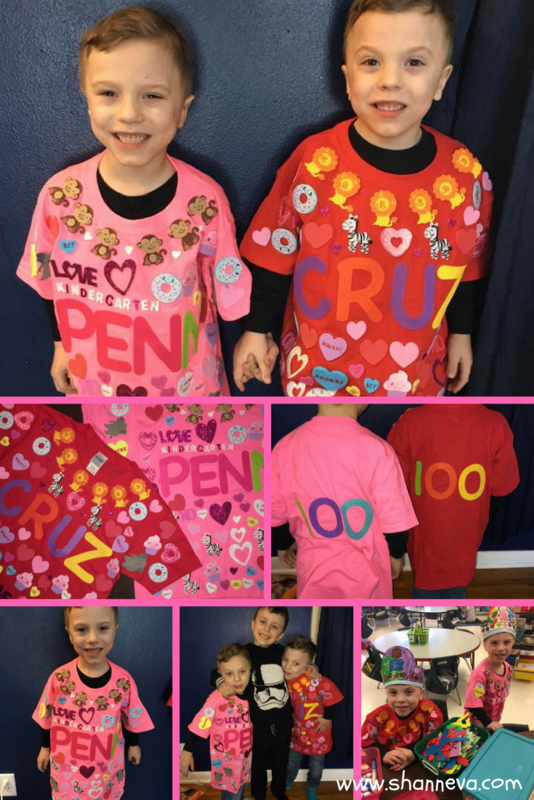 100 Days Smarter! The twins did it! They made it through 100 days of Kindergarten. Even more important, I did too! Plus, our last-minute effort on our 100 day shirts turned out pretty great. No Roots! No, not that song, although it is pretty catchy, but I finally got my hair colored. And I mean COLORED. I have not had blonde roots for…..OK, I’m not even going to admit how long it’s been. Pictures coming soon because…. Date Night! This weekend me and my husband are going to see a Modern Dance Performance. I’m SUPER excited. I’m not sure if the hubby is too excited about the actual performance, but I know he’s excited to get out of the house without kids. Health! The twins are healthy, Mr. B is on the mend (he had an earache Monday with a swollen gland in his neck, but Dr. checked him out, and no infections!) and I finally feel like a normal person again. My therapy I got back to the gym! My first workout was really, really hard, but the second time was better. It felt good to sweat and use my body again. New Snacks I’ve been eating tons of apples and natural peanut butter. Yum. New Shows Have you seen The Resident yet? It’s another hospital show, but it’s got Emily VanCamp in it (who I have LOVED since Everwood!) and that guy from Gilmore Girls. No, not the one in This is Us. Rory’s annoying on-again off-again boyfriend Logan. Matt Something. I hated him on that show, but he’s OK in this one. Also, if you have Hulu (or cable and USA Network) you have got to watch The Detour. It is HILARIOUS. It’s like The Hangover meets National Lampoon’s Vacation. Silly, disgusting, politcally incorrect humor at it’s finest. Ok. The boys are now running around the house pretending to be Zombies, so it’s time to sign off. 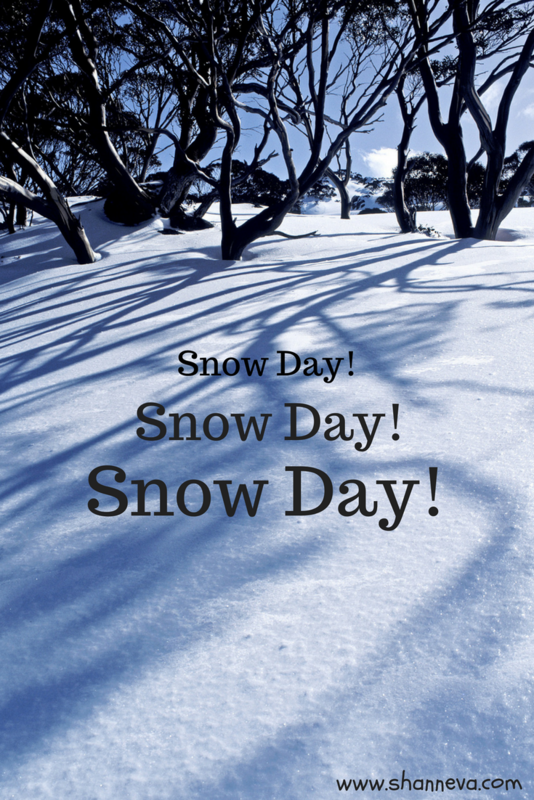 If you are having a snow day, I hope it’s a great one! If you’re not, enjoy your Friday! Any great weekend plans? Anything you’re grateful for this week? Leave me a comment and let me know.